Choosing the right credit card is important. After all, some cards are more rewarding than others. But in addition to how much cash back a card gives you, or how many miles in offers, there are other things to consider. How useful is the card in certain situations? In particular, how useful will it be to you in your specific situations? For example, one card might be just fine if you never leave the country. But if you travel abroad every once in a while, you might consider a card that takes that into consideration. 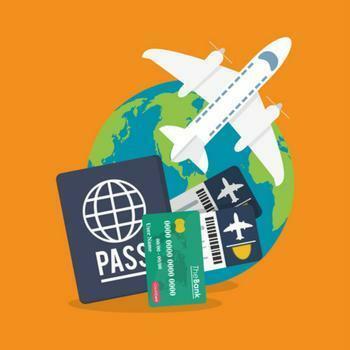 Personal finance site WalletHub has compiled a report, comparing 69 of the most popular credit cards on the benefits they extend to international travelers. Among the things the report took into consideration are foreign transactions fees, and whether the card issuer requires notification before the cardholder leaves the U.S.
Coming out on top is the Barclaycard Arrival Plus World Elite Mastercard. The card's very name suggests it was designed for travel, and it is. Close behind are the USAA Visa Signature Card, the Citi Prestige Card, the Citi Thank You Premier, the BankAmericard Travel Rewards Visa Signature Card, and the Merrill Visa Signature Card. Each of the cards have international-friendly aspects, some of which rate higher than others in the methodology. You can see the complete rankings here. Among the key findings, Barclaycard, USAA and Capital One are the best credit card companies for international travelers. Three of the largest card issuers do not charge a foreign transaction fee. Two companies -- American Express and Capital One -- are the only card issuers that can automatically detect when you have left the United States, and do not require cardholders to notify them. Finally, only three of the top 10 card companies will send you a free replacement card if yours is lost or stolen while traveling overseas. Four will send a replacement card, but not for free. Wells Fargo charges as much as $50 for a replacement card. U.S. Bank, Discover, and Capital One do not ship to international addresses, according to the report.